Healthy living is not that hard. In fact, the entire process is simple, provided you are willing to make even the slightest changes into your life. Minor changes, like walking for 20-30 minutes every day, can make a drastic impact to your overall health. 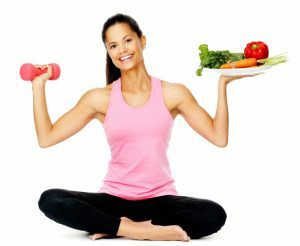 American Heart Association stated that several factors can dramatically affect your ability to be healthy – one of which is your present diet. You have to watch what you eat as a healthy diet is one of the major components of a healthy lifestyle. Keeping yourself healthy requires you to find the best sources of fat, protein, carbs and other essential nutrients. Generally, a good diet consists of polyunsaturated fats, not the saturated type, high quality protein, low-sugar fruits, healthy veggies, and foods rich in fiber. A healthy lifestyle wouldn’t be complete without proper exercise. It plays a major role in attaining your health and weight goals. The good news is that you can freely choose the kind of physical activity you can do. However, you need to make sure that you do it for at least thirty minutes a day. Some of your best options are moderate intensity exercises like biking and jogging. Do these for thirty minutes daily to maximize their effects. You can also do rigorous aerobic activities. Since these are more intense than the previous exercises, you can just dedicate around 10 to 20 minutes every day for this. You can also further maximize the effects of your workout plan by adding muscle strengthening activities for two days per week. The good thing about making regular exercises a part of your healthy lifestyle plan is that it provides numerous benefits including lower blood pressure, lower risk of developing heart disease, higher energy, and better mood. This can also help you control your weight and improve the quality of your sleep. Another vital component of a healthy lifestyle is enough sleep and rest. Avoid depriving yourself of sleep as it can have a drastic effect on your health. Have proper rest, as well, instead of overworking yourself. Take breaks once in a while. When it comes to sleep, try to get the recommended 7-8 hours of sleep every night. Make sure that your bedroom is conducive for sleeping to ensure that you get quality sleep. Both enough sleep and proper rest are crucial to living healthy as these contribute to your mood, your brain, your ability to fight stress and weight gain or obesity, and your overall health. In this short story, we meet Sir Charles Hallwyn, a knight who is on his way to the foothills, a known dragon territory. But he isn’t going there to fight dragons. Instead, he is searching for dragon eggs. During his journey through the wilderness, Sir Charles comes across an angel who is sitting on a rock. Thinking the angel might have a message for him, he approaches the angel. The angel, however, simply wants to talk. The two start off a conversation that reveals why the angel was sitting on a rock and why Sir Charles is seeking dragon eggs. The angel says he made a hurtful remark that brought a friend to tears. In that particular remark, he cited the Japanese proverb, “Even a stone will warm up if you sit on it for three years.” And so, as punishment, God ordered him to sit on that rock to find out if the proverb was indeed true. For his part, Sir Charles shares how he ended up doing what he does and what happens to the dragons—he raises them then sells the dragons as pets and some of the medium-sized ones to knights who use the dragons in dragon-fighting practice and training. Where does their conversation lead to? Think a large baby dragon, a furious dragon-mom, a knight reflecting on his decisions and apologizing for his actions, and the start of an unlikely but heartwarming friendship. This satire is a quick but engaging and enlightening read that’s hard to put down with its mesmerizing and compelling prose and dash of humor and quirkiness. Plus, the tale has a nice surprising ending that will make you want to read the author’s other works as well as other pieces of Christian fiction and fantasy. 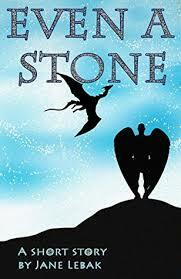 “Even A Stone” was first published in the magazine Dragon, Knights and Angels. It’s one of the titles in Jane Lebak’s Seven Angels Short Story Bundle, which includes “Wired Branches,” “Hired Man” and “Damage,” plus eight bonus shorts. Dkamagazine is a place devoted to style, healthier eating, make up and beauty. We think that to be beautiful means being healthy, in harmony with our body and above all things being happy. We love to advise women on what to wear according to each type of body, how to make up, and how to have a healthy life.